Flying From London Gatwick? A Look At Your Options For Airport Hotels! When it comes to flying from London Gatwick and, wanting an airport hotel the night before you fly to make things that little bit easier, and ensure that you’re not stressed in the morning from having to leave home at some ungodly hour, you’re absolutely spoiled for choice! There are literally dozens of airport hotels in the vicinity of Gatwick which you can book in advance, all at differing price levels, however all offer what it is you’re looking for; a hotel close to the airport! As such, we’ve teamed up with airport hotel specialists, FHR, to take a look at a small selection of the available hotels to help make your choice of which to book that little bit easier! If you’re travelling on a budget yet still want an airport hotel at Gatwick, don’t worry! You can book ‘Russ Hill’ from just £63.50 per night and, even at this price; you’re situated only 15 minutes away from the airport with transfers running every 45 minutes between 03.30am and 8am and hourly afterwards. With a rating on the FHR website of 78.8%, you really can’t go wrong with this 1800’s country manor hotel, which boasts 130 rooms, all of varying size. Whatever your needs and requirements, if you’re booking on a budget, ‘Russ Hill’ could be for you! If you’ve a little more budget to allocate to your airport hotel, you may consider taking a look at Arora International Hotel, a contemporary hotel located just 10 minutes away from Gatwick Airport. At the hotel, you’ll find everything ranging from a fitness club with over 50 exercise stations as well as dinner inclusive packages. If you’re looking for a mid-budget airport hotel, this could well be perfect for you and the rating of 85.05% from previous guests is sure to give you the confidence that you’ll enjoy your stay! If you’re feeling flush or wish to splash the cash on your airport hotel, you could do far worse than taking a look at what ‘The Hilton’ has to offer. A name we’ve all come to know and love, you simply can’t go wrong with The Hilton and, at the one at the South Terminal of Gatwick, you’ll be located just seconds away from the Airport, accessible via a covered walkway. You simply couldn’t stay any closer to the airport and what’s even better is that, upon arrival, your car will be collected from you and returned upon departure. With a choice of dining options and en-suite bathrooms in all rooms, if you’ve got the budget, always consider this fantastic luxury airport hotel at Gatwick. 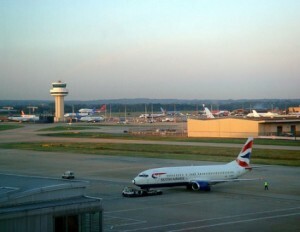 Above all, there’s a significant range of airport hotels at Gatwick which are suitable for those with all budgets available. Whatever your budget, there will always be something suitable available and to see the full selection offered through FHR, click here. Whatever you do, next time you book yourself onto an early morning flight, do yourself a favour and book yourself an airport hotel. Why put yourself through the stress and hassle of travelling to the airport in the middle of the night to ensure you make your flight when you could simply arrive the night before, check into one of the many nearby hotels, enjoy a nice meal, a warm bath and get a good night sleep? Airport hotels don’t have to cost the earth, as we’ve shown above, and, as far as we’re concerned, it’s well worth the money! We brought this guest post courtesy of the team over at FHR, one of the UK’s leading and most useful resources for those looking to book both airport parking and airport hotels at any of the countries airports. Previous story Is There Still A Place For Online Printers In The Digital Age?